After about 15 minutes and taking more pictures I came up with nothing. So I decided to just stand in the middle of the tunnel and try to focus towards the entrance to see if I could pick up anything. 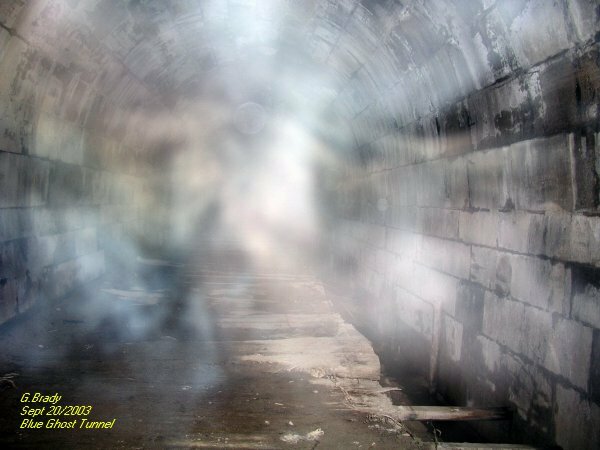 I started to see a white cloud come in from the entrance of the tunnel. I got my camera ready to take a picture. 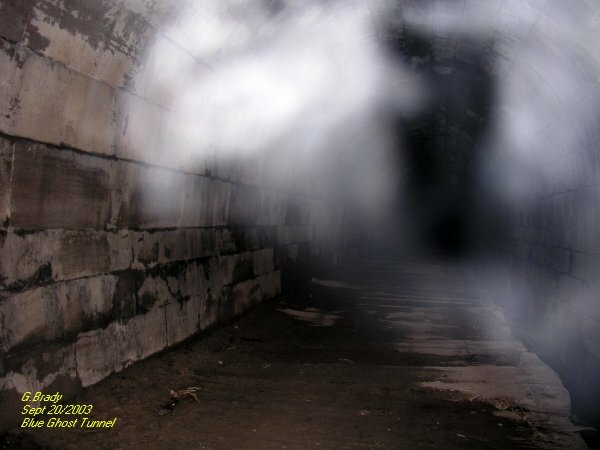 The mist then went to the left side of the tunnel and I mentioned to the group what I was seeing. 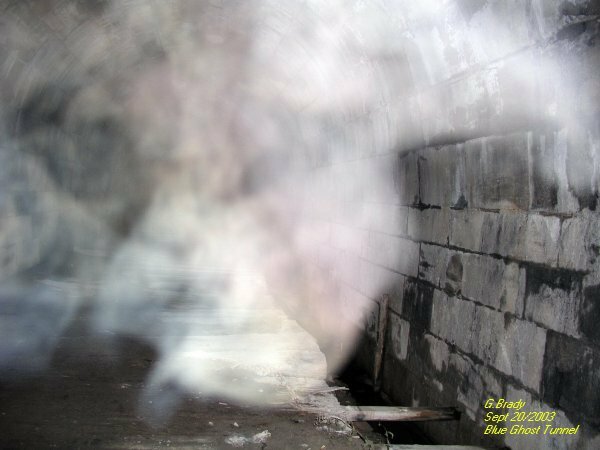 I then took this picture of what appears as a 3 dimensional picture of an energy form within the tunnel. 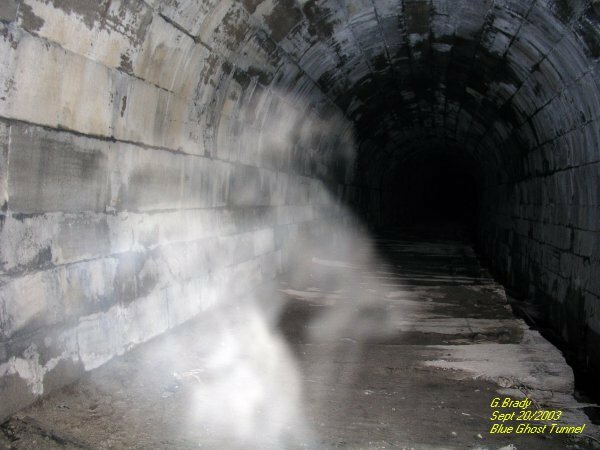 About 5 minutes after the previous photo was taken I saw a bright form of energy coming into the tunnel with the naked eye. I took this picture and again it appears a 3 dimensional form of ecto energy that was forming into something. There was a large orb in the center of the energy and a very intense source of energy in the center of the ecto. 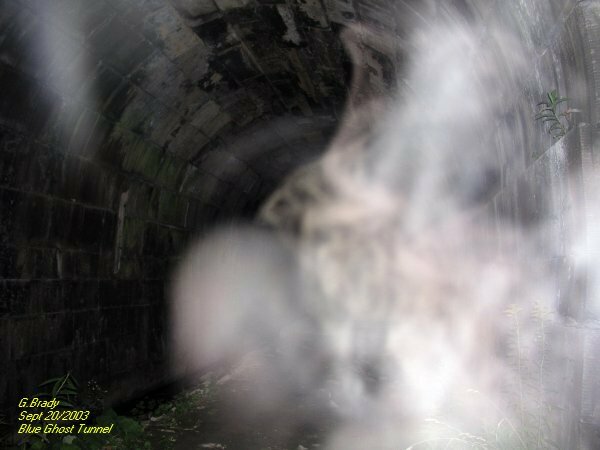 It almost appears as though a train was coming through the tunnel???? After a few minutes I took this photo for I could hear a faint voice right in front of me. The voice spoke very softly and it was hard to hear what was being said. In this photo it appears as a man bending over to sit a dog that may represent as a Doberman. The dog had its ears cropped and has its head slightly turned as though looking for something. The dog was in a sitting position and it appears as the brightest energy form in the center. In this photo you can make out some ecto mist moving away from me. A slight wind blew within the tunnel at the time this photo was taken. 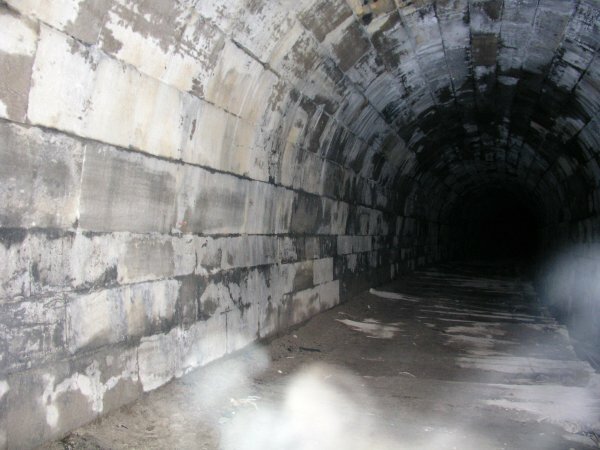 The energy form almost blocked the entire tunnel looking towards the entrance. Notice the vibrant colors to the form....red, blue, green. This form appeared as a 3 dimensional form of some sort. Everyone felt we were not alone. Paul was telling me that he had a sense of something snorting in the area. So when I took this photo I was surprised at what I had got on camera. In this photo is a man riding a horse. The horse shows up as a strong energy form being the brightest, the man on the horse is transparent almost like an X-Ray of a spirit. Look closely and you will see what I am talking about. 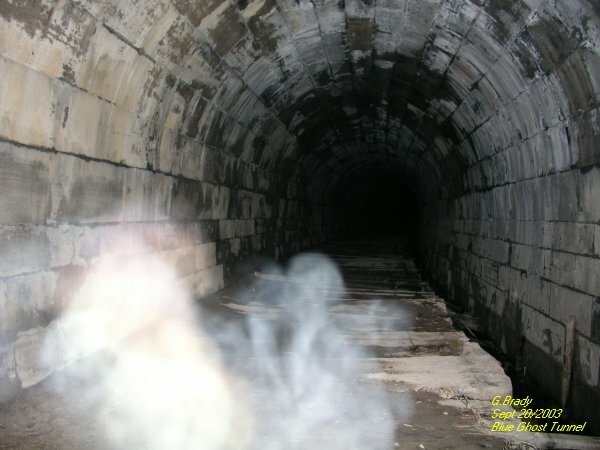 The above photo is another ecto mist form showing a lot of energy within the ecto that was appearing. 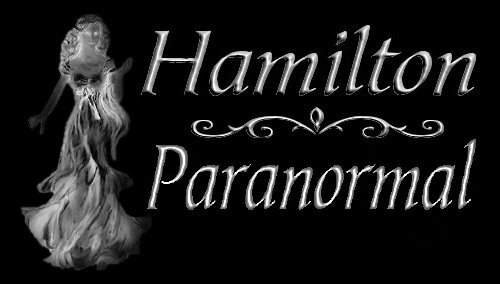 In some of the forms you can make out what is within it, yet others like the one above it's hard to tell what the spirit was going to form.